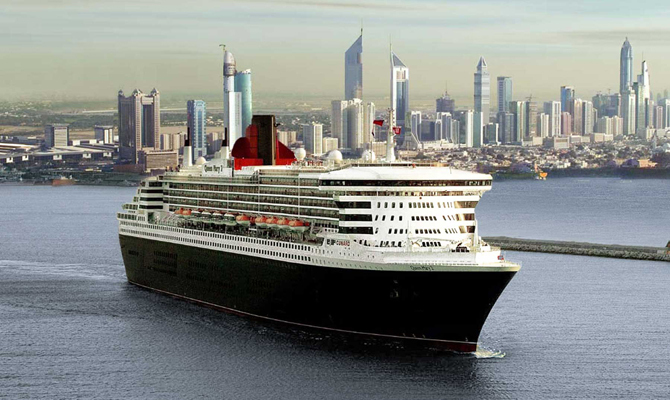 Experiencing a transatlantic voyage on Queen Mary 2 is to experience the golden age of traditional cruising! We were escorted out of New York by a NYPD helicopter, with the pilot somewhat "showboating" his skill by flying circles around the ship and getting so close you could almost make out his face. As we approached the Verrazano Narrows bridge we thought that the flying display would end there, but oh no, straight under the bridge he went alongside us before turning and heading for home. For this trip we had booked an inside stateroom which was spacious with good storage for clothes, however we were not intending on spending too much time in our stateroom due to the numerous and varied activities on board, all of which we could find out about in the Daily Programme (information sheets) delivered to our stateroom at night for the following day. After leaving New York we decided to take a tour of the ship to familiarise ourselves with where everything was, aided by a mini deck plan from our stateroom and the various information deck plans around the ship. This tour helped us make up our minds on what we wanted to do whilst on the voyage. For anyone who has not travelled on QM2 the two ‘not to miss’ events are the Planetarium and the white gloved afternoon tea in the Queens Room. For dinner we dined in the main restaurant at a table for two, looked after by two lovely waiters and a very knowledgeable sommelier. We always ask the waiters what dish they recommend and they are very rarely wrong!! The food is always well presented (start the meal with your eyes!) and tastes as good as it looks. Our first full day at sea was a gloriously sunny day, so that was me off to the sun deck with a book and sun tan lotion, with Sue saying she would join me shortly. My relaxation on the sun lounger with my book lasted a whole 10 minutes before Sue came up to inform me that we were going to the dance class in the Queens Room. The rest of the days at sea were more than entertaining for us, even with 6 whole days at sea we still didn’t do all that we wanted to. The last day before Southampton was somewhat different as a crew member who was unwell had to be airlifted by helicopter from the ship. The night time entertainment always provides choice with west end style shows, ballroom dances, music lounges, the pub or disco providing a varied venue selection. Dress in the evening is either formal (black tie on two nights); getting the glad rags on is part of the whole transatlantic experience for us; or informal. QM2 was a great experience, so much so, that Sue will be taking her mother on this great ship for a short cruise next month! 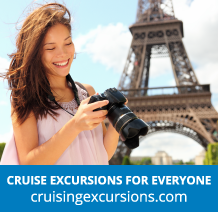 It really is a good idea to buy a cruise holiday from an expert in the industry and Sue and I have years of experience and a wealth of knowledge we love to share. All bookings with us carry full ABTA and ATOL bonding for your financial protection and peace of mind. 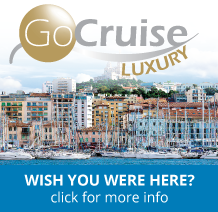 We are also independent and will always offer the cruise that we believe to be right for you, so that your experience is the best it can be.